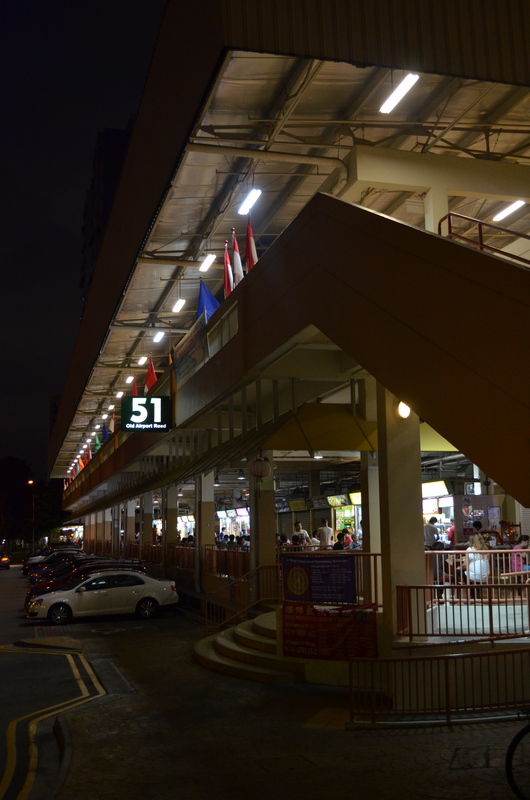 For dinner, I took the bus over to the Old Airport Road Food Centre on 51 Old Airport Road, which is a stretch of hawker stalls crammed into what looks like an enormous open-air parking structure. 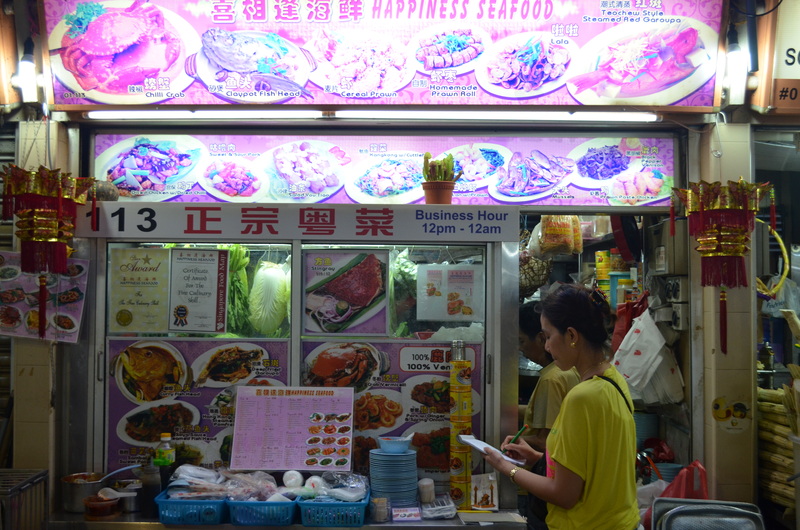 It’s also one of the best hawker centers in town. Most of the action is on the first floor, where there are a crazy number of stalls, each specializing in something different. I had a second dinner to go to at Sin Huat with a few friends from university, so knowing that I would have some version of crab, I avoided ordering it at the food centre. 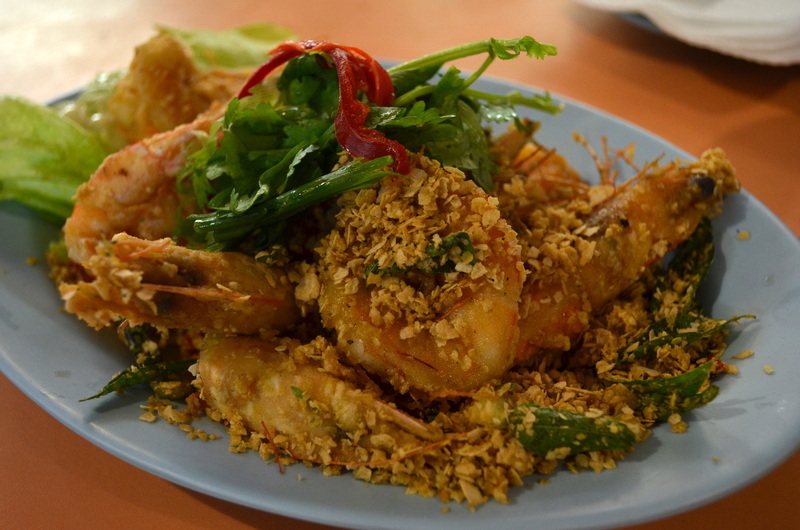 However, I found a place to grab a small plate of cereal prawns, another Singaporean seafood classic. Fried head-on jumbo prawns covered in a loose batter of cereal flakes. Fearful of destroying my appetite, I only ordered this and a small bowl of rice, without any accompanying dishes. The prawns themselves were a bit dry, but I like the texture of the cereal as a batter – it doesn’t overwhelm what can be excellent seafood (alas, if they hadn’t been dry). Clearly I wasn’t worried about overeating, since I snuck in a small bowl of tofu (as a palate cleanser of sorts?) 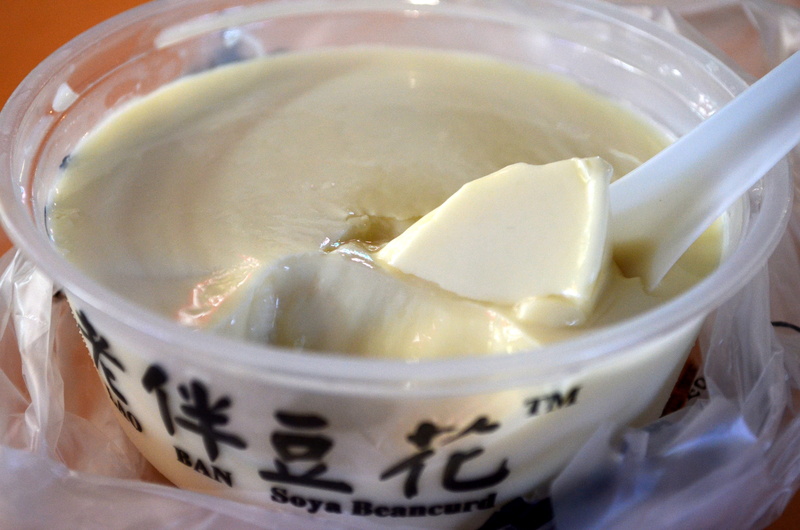 from Lao Ban Soya Beancurd. Really smooth, delicious and clean soy flavor, with a pleasant sweetness. Coincidentally, it was an editor’s pick on Hungrygowhere’s list of best beancurds in Singapore (there’s a list, apparently), so I kind of stumbled into something special. What can I say? I’m a glutton for punishment.